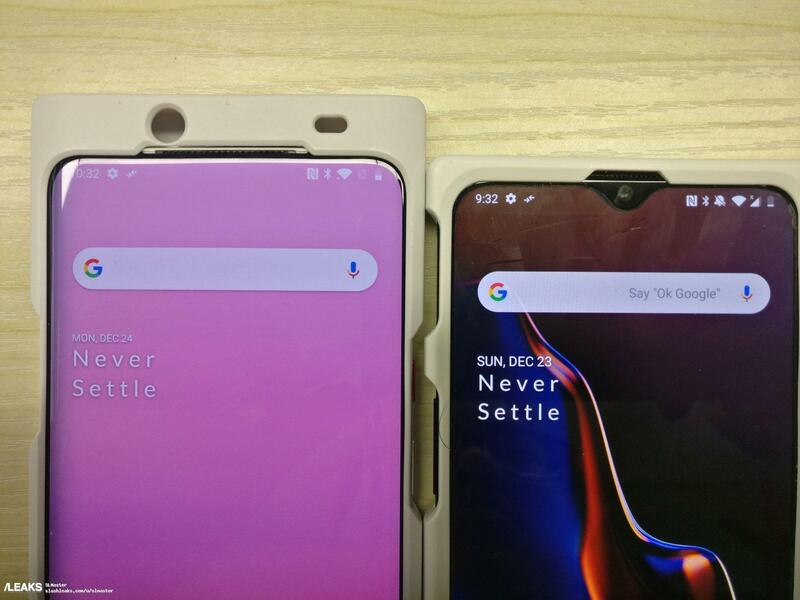 What we’ve determined is a plausible OnePlus 7 leak has just popped up over on Slashleaks. The image compares an unknown device, presumed to be the Oneplus 7, to the current OnePlus 6T. Both appear to be in cases to disguise their identities (not an uncommon practice during testing), but a few key details are visible. This new phone skips the notch and appears to have a sliding design. If it’s legit, the OnePlus 7 might finally deliver the all-screen dream to the mainstream. A full resolution version of the leaked image is just below. Ignore the difference in bezels. 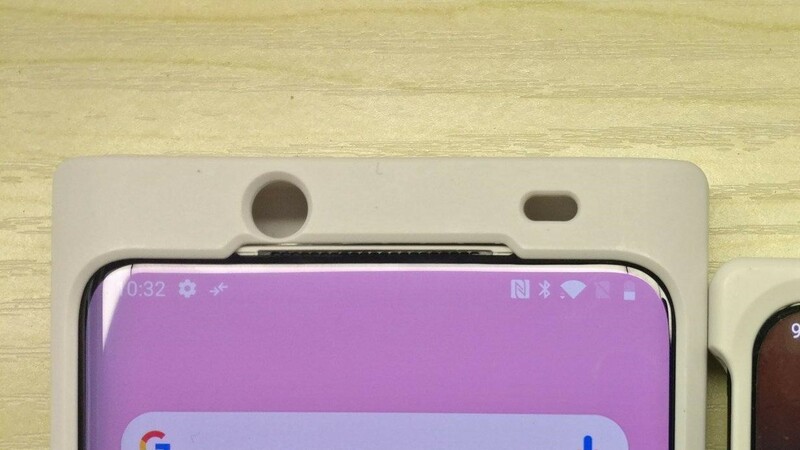 Since the leaked phone is inside a case, it’s impossible to make a comparison, but you can trust they won’t be quite so narrow as they look here. Further, of all the current crop of sliding phones (that I’m familiar with), none have such a wide earpiece. 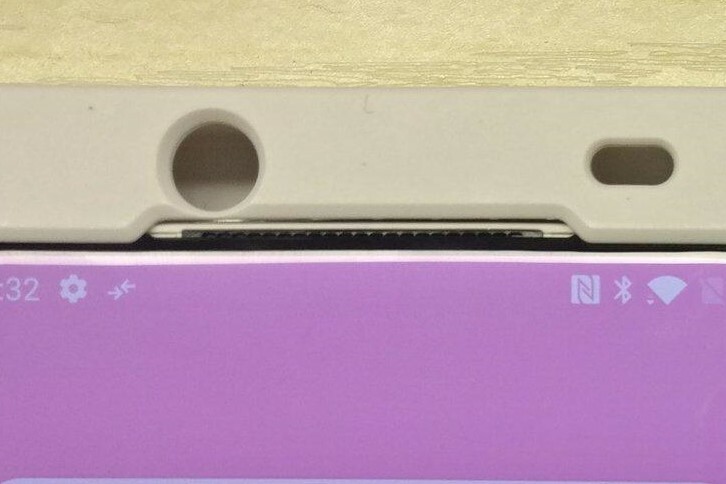 Software is easy to spoof, so that isn’t necessarily an indicator, but the leaked device has the same Oxygen OS-style look as the 6T — widget, derpy NFC icon, and all. The biggest piece of info to come from the leak is manifests via the case surrounding the phone. 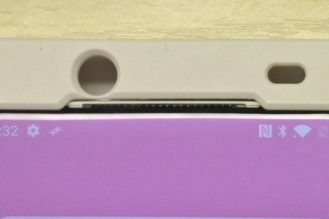 We’ve got a pair of cutouts which appear to be for a camera and a sensor assembly, but nothing on the other side but a void. The only plausible explanation we can think of for including cutouts to empty space is if it isn’t always empty. 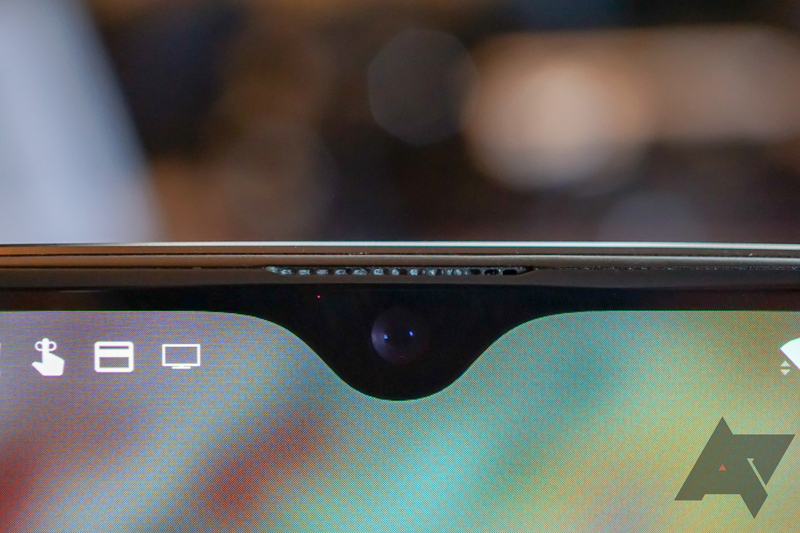 Mix in OnePlus’ sister company’s recent interest in sliding mechanisms, and we think it’s pretty likely that’s what we’re looking at here, and a sliding mechanism of some kind brings the camera and sensors into position beneath those cutouts. And given the lack of a visible front-facing camera, it has to be somewhere. 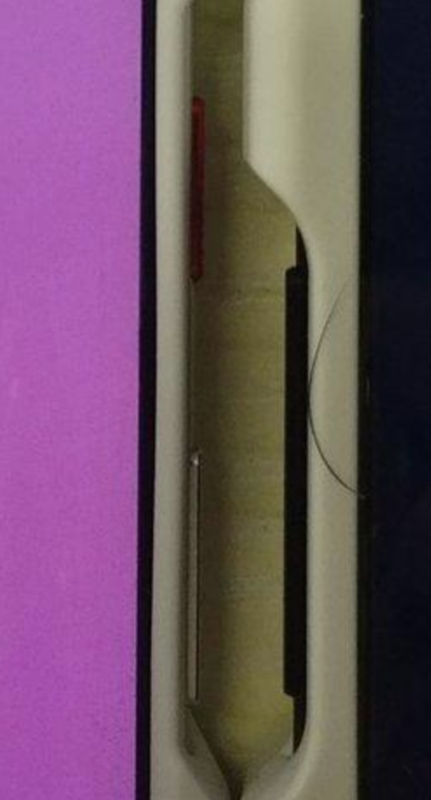 Now, we can’t guarantee this is the OnePlus 7 we’re looking at, but details present in the photo lead us to be confident it’s plausible. Most of our readers know we tend to avoid leaks that aren’t hit-you-in-the-head obvious, but this is so close to what we’d logically expect that we’re reasonably confident in it. But, it’s still possible this is a device from another OEM — even if it is a OnePlus device, they’re historically similar to OPPO devices, and that could also be what we’re seeing.